Mango Puree is one of the easiest dessert recipes you can find, and it is really another no-brainer job. If the mango season is in, try this no-fuss recipe that you can impress your guests with. 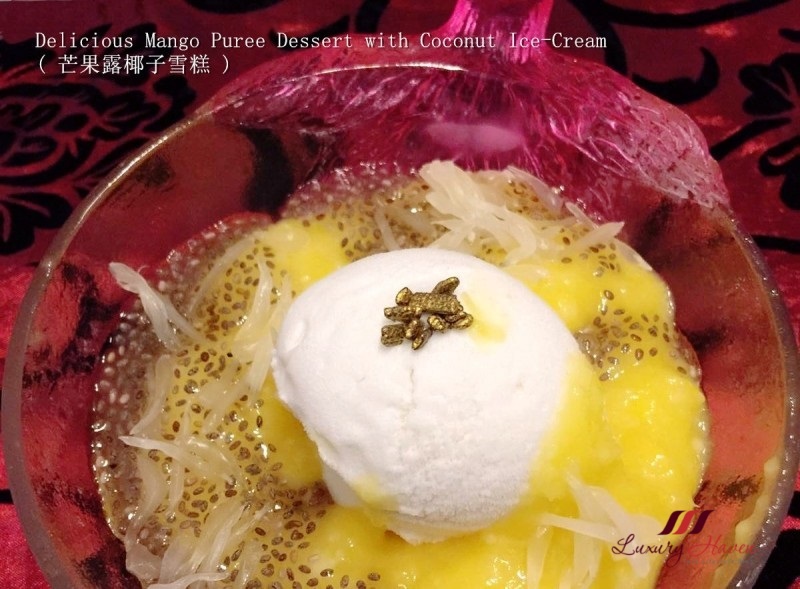 The Mango Puree Dessert with Coconut Ice-Cream ( 芒果露椰子雪糕 ) is very popular with my family and guests. The toppings largely depends on what I can get hold of. 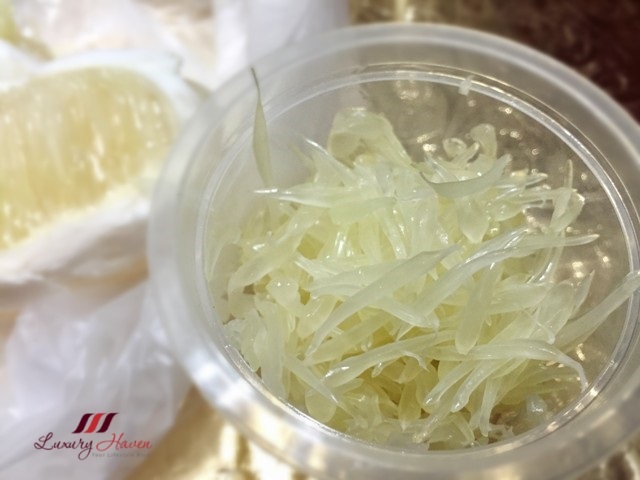 My initial idea was to add Pomelo ( 柚子 ), but I couldn't find on that day. Instead, I added Grapefruit ( 葡萄柚 ) and the superfood, Chia Seeds ( 嘉种子 ) instead. Shred grapefruit and set aside. 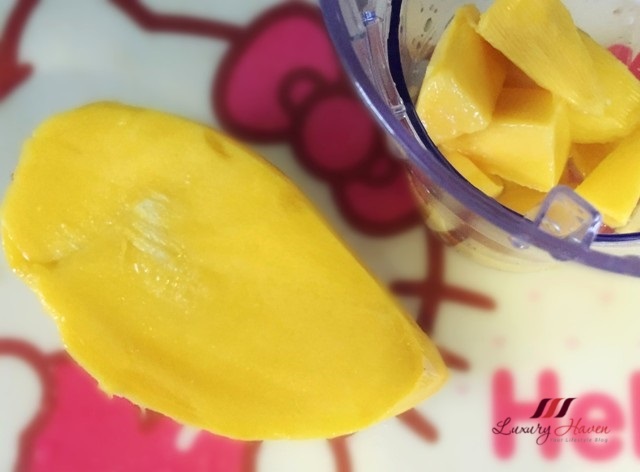 Prepare mango, cut into cubes and blend with a bit of water for smooth blending. Transfer to a container and refrigerate. Scoop ice cream into serving bowls. Pour mango puree and top with chia seeds and grapefruit, and your Delicious Mango Puree Dessert with Coconut Ice-Cream ( 芒果露椰子雪糕 ) is ready for your serving. 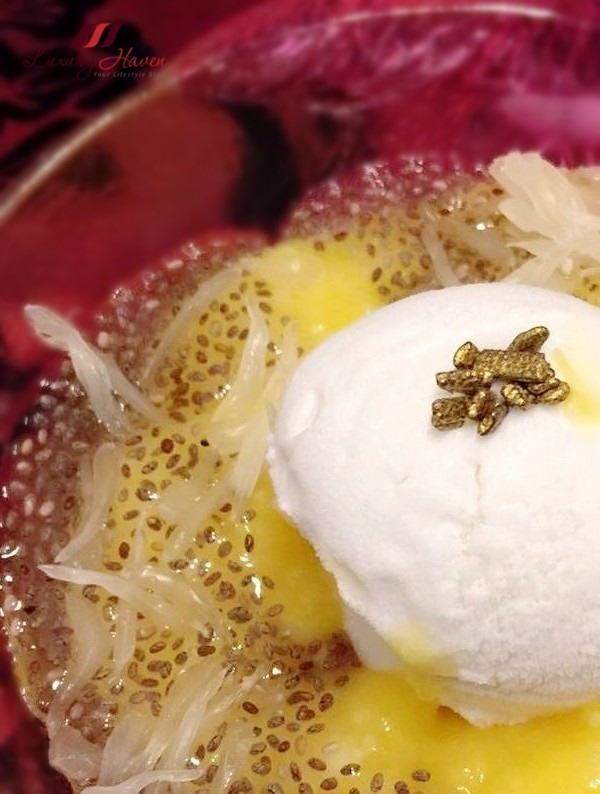 See more mango preparation at Bejewelled Mango Puree with Chia Seeds Dessert ( 珠光宝气芒果泥 )! Refreshing and sensational. Moreover, the true and true Asian dessert I will anytime jump high up for. Yum. I love topping up my ice cream with fruits and other garnish. Mango puree and chia seeds sounds perfect. Parece ser uma sobremesa deliciosa! So many yummy ingredients in this dessert!! It sounds delicious!! I am salivating as I read this. I love to eat mangoes and ice cream! So tasty! Thanks for the recipe. It looks very easy to make but it is very delicious and yummy! i always have to get my fix at the dessert chain called Hui Lau Shan. Sadly they don't serve coconut ice cream like yours. Omg! You have the best food display! yum! Simple and gorgeous! Now you have me craving for thai mangos!